Missing teeth can impact not just aesthetics, but oral health and function as well. Restorations such as crowns and bridges can be attached to dental implants and mini dental implants for a full tooth replacement. At Live Well Dental in Smithfield, we fabricate implant-supported and traditional restorations. If you have decay, discoloration, or missing teeth, we offer restorations to restore the integrity of your smile. Designed with your aesthetic goals in mind, these prosthetics and improvements blend seamlessly with existing teeth, supporting a natural look. White Fillings – Also known as tooth-colored composite, this material is bonded to teeth with small cases decay and chipping. Unlike amalgam fillings which are made with mercury, composite resin fillings are metal-free and safe for the smile. Crowns – These restorations address significant decay and require root canal treatment to save the natural tooth. Crowns are made from a variety of materials, including porcelain, porcelain fused to metal, or – full metal. Our Smithfield dental team use their eye for detail to make the crowns look and feel like natural teeth. Treatment may take more than one appointment as our trusted dental lab completely customizes the crowns. Fixed Bridges – If you are missing one or more teeth in the smile, these restorations are the traditional method for replacing them. Bridges require the support of neighboring teeth to hold the fake tooth (Pontic) in place. The neighboring teeth are crowned, and the pontic is secured to them. This allows the replacement tooth (or teeth) to fill the gap. Similar to crowns, bridges can be fabricated with all porcelain or porcelain fused to metal, and can be used for front or rear teeth. 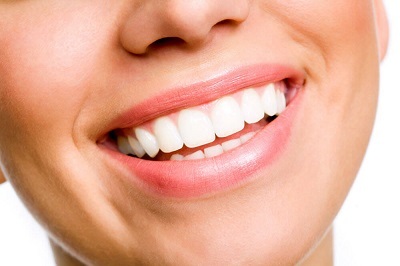 Implant dentistry is the latest in dental advancements that allow the full tooth, from root to crown, to be replaced. At Live Well Dental, we offer dental implant placement and mini dental implants for patients with smaller bone volume. Dental implants replace one or more teeth without the need to crown adjacent, healthy ones. Implant-supported crowns, bridges, and dentures are secure and long-lasting, supplying a natural bite and making your mouth feel normal. Live Well Dental is passionate about restoring your smile and protecting your oral health. For more information about our restorative dentistry options, including dental implants, contact our Smithfield dental practice today!